Recently I read an article talking about the most popular alcoholic drinks in Japan. There are a lot of choices and categories for alcohol but there was a clear winner for the favourite drink in Japan is beer. If you have been reading this blog for a good length of time, you will know how much I enjoy drinking. Personally, I like drinking beer and Nihonshu among other drinks and a lot of the information on this list was not surprising to me based on my personal experience drinking with friends. The most popular drink among my friends and in Japan is beer, and I would argue that beer is the most popular drink in the world. It has seen an explosive growth in China as well although it has seen a sharp decline recently. 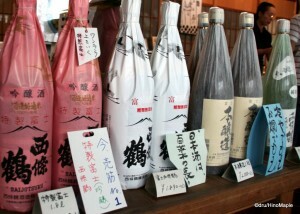 It is also no surprise that wine is also pretty popular but shochu and plum wine has exceeded it. Nihonshu is lagging in 5th place but more on that later. Beer is probably the most popular drink in the world, outside of the Muslim world of course. 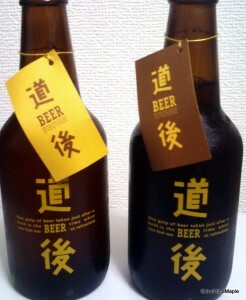 In Japan, beer is boosted by the “toriezu beer”, or the decision making beer as I prefer to call it. When going to drink with friends, instead of taking a few minutes to decide what to drink, a lot of people will order a round of beer to start the night before switching to their favourite drinks. While I don’t think having a decision making beer will boost the numbers itself, it does help people grow a taste for beer in Japan, and beer is a drink that usually grows on you. I would say the main reason beer is so popular in Japan is due to marketing and culture. It is very common to see beer commercials as well as advertising all over Japan. It is also common to hear about families that sit around a kotatsu enjoying a beer together. While the culture and marketing is probably the main reason beer is so popular, I would also assume that beer like drinks such as happoshu, an all hop “beer” also contributes to this list. It is a cheap drink that was created to get around liquor tax laws and has been very popular in Japan. I think this is another contributing factor to beer being so popular. Recently, I would also argue that craft beer has been fueling the popularity of beer as people’s tastes mature. Craft beer in Japan is growing very well and it will provide good alternatives for people to enjoy high quality beer in the future. Shochu is the second favourite drink in Japan and it is pretty obvious why it is so popular when you live in Japan. It is used in many drinks and ranges from good to cheap and terrible. Shochu is better used as a mixing drink. People rarely drink shochu straight. For people who love shochu, it is often mixed with water or tea and can be served hot or cold. It can be served on the rocks or plain in a cup. For people who don’t drink often, they tend to enjoy it as a fruit “cocktail” called Chu-hi or “sour”. These drinks are simply fruit juice, carbonated water, and shochu. It is a staple at any party and after the first beer many people will switch to shochu. I would guess that the main reason shochu is so popular is that shochu is also seen as the young person’s drink, so it can be trendier than nihonshu, its alcoholic cousin. Considering it is the second most favourite drink of men, it might be suggested that younger men like it more than nihonshu. It is also a lot lighter in taste, yet stronger in alcohol than nihonshu. Umeshu, or as the article points out, fruit liquor, is pretty popular as well. I was a little surprised by this but the more I contemplate the drinking habits of my friends, the more I understand that umeshu and other fruit liquors are actually quite popular. It is more common to see women drinking umeshu, a concoction of shochu (sometimes nihonshu), plums (fruit), and sugar. It is a type of sweet liquor that I never really had a taste for. It is not a bad drink but too it’s too sweet for my own tongue. While I think of it as being predominantly a women’s drink, that doesn’t mean only women drink umeshu. I know a few men who do enjoy a good umeshu from time to time. 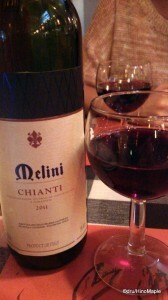 Wine is growing in popularity in Japan. While it can be difficult to get good Japanese wine, Japan’s wine industry is growing and maturing every year. I have met several sommeliers who swear that Japanese wine is good. I can’t say this is true from personal experience as the only time I had Japanese wine it was so terrible I couldn’t drink it. I also don’t have enough experience with wine to really tell which is good and which isn’t good. Recently I have been enjoying a lot more wine, especially with Italian food, and wouldn’t hesitate to try it with other European foods. Perhaps in a few more years, I’ll have enough experience to be able to report back on Japanese wines, but please don’t hold your breath. Nihonshu is often considered the old man’s drink in Japan. It is not surprising that nihonshu is the third favourite liquor for men. You can easily see old men drinking nihonshu everywhere from upscale nihonshu bars to dingy yakitori bars under the train tracks. It is my favourite Japanese alcohol and having a good nihonshu is essential to understanding Japan. Many young people in Japan see it as an old man’s drink so they often don’t order it. They also consider it to be too strong. While this can be true, it can also be very delicate and enjoyable. Like wine, without proper education, it is difficult to know what is good and what is bad and what will suit your tastes, if it can suit your tastes. Nihonshu is very versatile but it takes time and patience to really learn about the different varieties. I’m just one person and I can’t sway the way people think, but I will continue to promote nihonshu and hope people will learn to love it. Bill Murray and Japanese whiskey go hand in hand. You can’t find a single tourist in Japan who doesn’t think of Bill Murray when someone says “Suntory”. Okay, maybe a few people haven’t seen it, but it is still a very stereotypical idea of Japan and it did introduce a lot of interesting things about Japanese culture. While whiskey is still predominantly loved by very old men, recently, highballs have become popular. Highballs are just whiskey and soda water which is a good way of saying watered down whiskey. Highballs are becoming popular with younger men as it is not as strong as straight whiskey. Japan has a long history of making whiskey and Japanese whiskey is considered one of the best in the world. I wouldn’t hesitate to enjoy a nice old Japanese whiskey but it is more of a treat. It can be a bit expensive to buy the good stuff, and the cheap stuff is a little scary to try. Those are the main drinks that people said they enjoy. Did it surprise you? Do you agree with the list? What about your own country? It is an interesting poll that probably isn’t very scientific. After all, the list was compiled by Shunkan News, known for their strange polls and being a self-proclaimed research site. This entry was posted in Food and tagged alcohol, Apricot Liquor, beer, Chu-hi, High Ball, japan, Japanese Whiskey, nihonshu, Plum Liquor, sake, shochu, Sour, Umeshu, Whiskey, wine by Dru. Bookmark the permalink. Dogo beer! I’m visiting my parents in Matsuyama next month. I hope I can try it this time. It’s sold near Dogo onsen, right? I would say my drink is 40% beer, 30% nihonshu, and 30% wine. Yup. You can go to the restaurant that is next to the honkan and eat great food and drink good beer. You can also go to their factory. I regret not going there when I was in Shikoku, but I had already decided to leave as I was really tired. I plan to return someday so I will be in Matsuyama again. I’m not surprised by sake’s low ranking. It is not very popular anymore due to it being “an old man’s drink” these days.